There are some similarities between Chiropractors and Physiotherapists. The main treatment of choice for a Chiropractor is manipulation to re-align joints in your spine. Manipulation is where a quick sharp force is applied to specific joints in your body that results in a clicking or popping sound. This can reduce muscle spasm, pain and stiffness. At Ruislip Physiotherapy, manipulation is one of a variety of treatments we use. We tailor our treatments to the specific needs of each patient and also aim to prevent re-occurrence of the injury. Please have a look at our treatments page to see all the treatments we offer. There are a lot of similarities between Osteopaths and Physiotherapists. 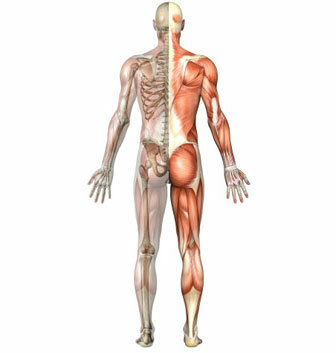 An Osteopaths main area of treatment is the spine and back. They have a holistic approach to treating the structural balance of the body. This includes manipulation, soft tissue work, exercise and balancing the body’s energy. At Ruislip Physiotherapy, we are trained in many of the same techniques and tailor our treatments to the individual needs of the client, aiming to treat the problem and prevent re-occurrence. There are branches of osteopathy such as cranial osteopathy and visceral osteopathy that are classified as alternative therapies. Cranial osteopaths believe that subtle movements of the skull have a healing affect on the rest of the body. Please have a look at our treatments page to see all the treatments we offer.